This custom imprinted small clear mesh drawstring bag attracts with its clear body and it is loved by holidayers and people on move who wish to find their things handy. This drawstring bag offers clear visibility to business message and it often remains customer favorite due to their easy manageability. Marketers working in extremely constrained budget conditions can avail this drawstring bag for bulk gifting because offer discounts on bulk orders of this bag. 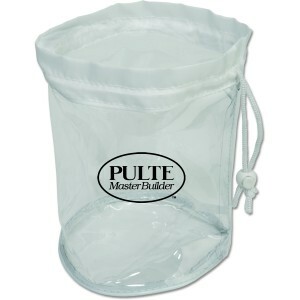 Request a quote to know wholesale price savings offered on bulk orders of this promotional small clear mesh drawstring bag. Item Size - 6 1/2" W x 8 5/8" H .
Imprint Size - 5 1/4" W x 3" H.